The Svetasvataropanisad is considered to be the most beautiful of all the Upanisads, the philosophical texts of the Hindu religion. 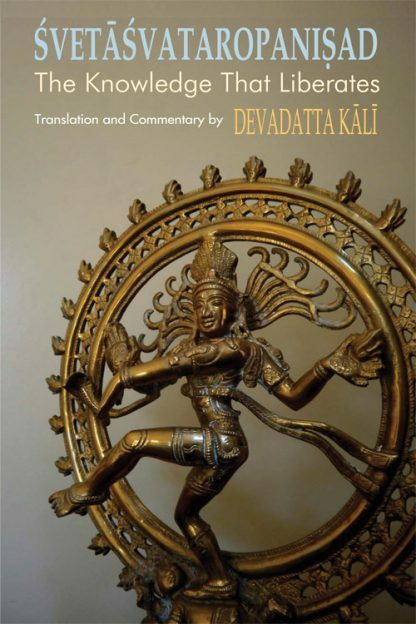 In this new translation, Devadatta Kali takes a fresh look, and works from a new premise that the Svetasvatara represents a Saivite (one of the Hindu sects) point of view and works from this in his translation and commentary to allow its intended meaning to shine forth. The translation and commentary brings to life the seer Svetasvatara, who from time to time delights in provocation and word play, allowing the reader to share the joy of his liberated vision that all this world is an expression of the Divine. This translation aims to capture the seer�s ecstatic response to the wonders of creation while pointing the reader towards the even greater wonder of its source. Devadata Kali�s purpose in his translation and the commentary is to convey the vibrant immediacy of the Sanskrit original and strip away many centuries of exegetical accretions in order to make Svetasvatara�s message heard as he intended -- as a statement of profound insight designed to guide, inspire and enlighten. 13 pages of uninterrupted flow of the translation of the Upanisad. 6 chapters of the Upanisad in original Sanskrit with English translation and commentary. Two appendixes giving the word by word analysis of the Sanskrit and a complete tabulation of the correspondences with other texts and internal corresponds within the Upanisad itself. Index including bilingual references and major themes by verse.